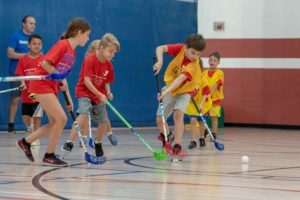 David Crawford made it his mission to spread the sport of floorball. He took two additional steps in that direction recently, starting a league and writing a book on the sport. Games will start at 12:00 p.m. and stack one after the other. “We’ll go from the youngest to the oldest,” he says. To start, teams will probably be co-ed, but David has hopes of creating girls and women’s teams as the sport catches on. Teams will be small and play three-on-three. With fewer people on the floor, the court won’t be crowded and the game less aggressive. “And we’re using small goals instead of goalies, so it is just a different type of game,” assures David. You don’t have to wear any special equipment either. Eye protection like racquetball goggles are optional, but most people don’t wear those. All you need is a stick and a ball and you can play it anywhere. 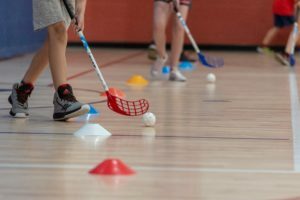 David is spreading his passion for the sport of floorball in Thurston County and across the country. His ultimate goal is to make this area the mecca for floorball and eventually hold a World Cup Tournament here. 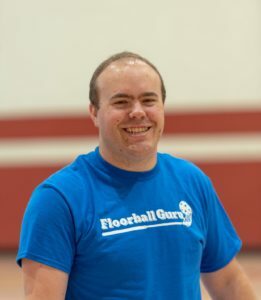 David even wrote a book on it, Floorball Guru Primer. “I wanted to write a book that I could hand to anybody and they could do what I’m doing,” he says. Now anyone anywhere can learn the game and start a program of their own. “I’m hoping to find more people that want to get involved with this sport and help me grow it, because I’m a one man show right now,” he adds. 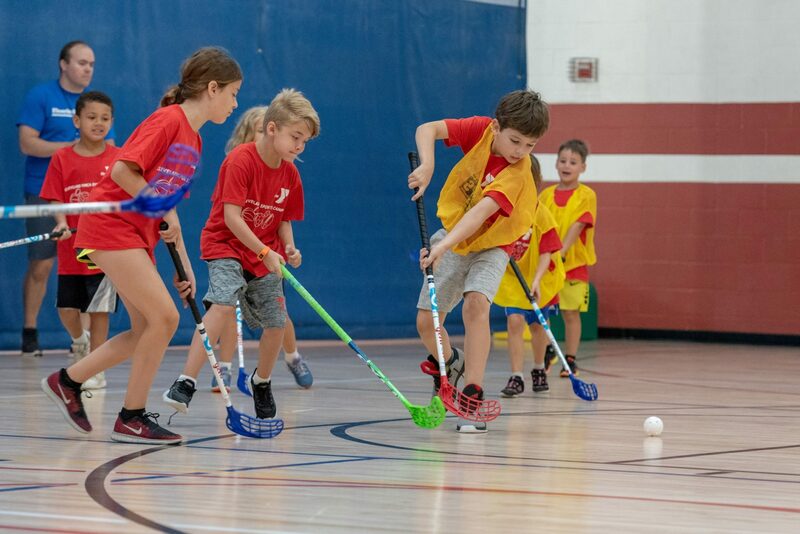 To register go to the floorball league registration website.